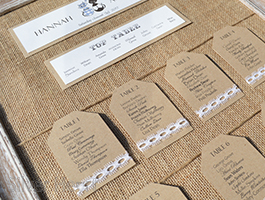 At Silver Heart we produce beautiful bespoke table plans. 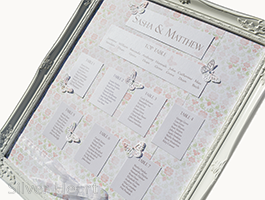 They can either match one of our own designs as seen on this website, or they can be created to fit into whichever magical theme you have dreamt up! 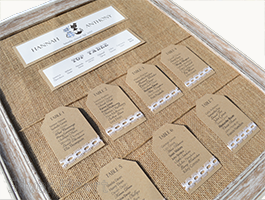 We provide the plans in two sizes; A2 or A1 and they come framed or simply mounted on mount board for you to display how you like. 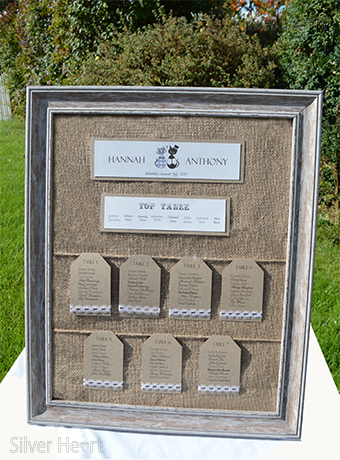 Below are two examples of the many designs of table plan available. 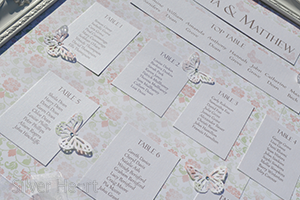 Hover your curser over the small images below to see a larger photograph.